As the weather turns cooler, inevitably our taste in food switches from sunny weather outdoor fare to stuff to warm our bones. I hate to admit that the weather is changing as much as the next person, but the calendar doesn’t lie. I saw a friend from Newfoundland yesterday who said they were beginning to get frost there. Yuck. The thing that saddens me the most is how fast we're losing daylight hours. Couple that with the overcast weather and you have to do something to distract yourself and raise your spirits. It's now dark when we get up and night seems to fall way too early. So what do you do when you’re trapped inside with the wind and rain howling around you? If you still have power, put on a pot of something to braise slow and low. planted a few. Heavy bearing, I guess. This recipe makes beef that is truly fork tender. 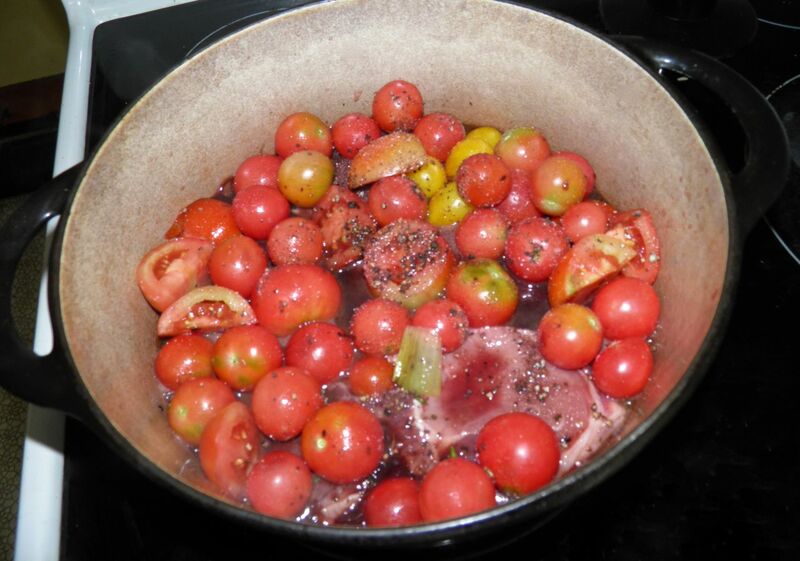 The fluffy potatoes go exceedingly well with the reduced pot juices, redolent with tomato, garlic and fresh sage. Did I just type “redolent”? I did. My coffee must have just kicked in. It makes me wax eloquently. If you’re not stuck at home but stuck in the office you could also do this in a slow cooker. Although I don’t own one (and “no thanks” anyone reading this thinking of gifting me) I would imagine it would be as easy as throwing everything in and going to work. There’s something about these one pot meals that screams fall food. They’re also near-and-dear to my heart because of the small amount of clean-up. You can also make quite a bit by doubling the recipe and then refrigerating or freezing it. Since you’re putting in the time you may as well get bang for your buck. It makes for at least one more very quick dinner if you do. It’s sad to see summer wane, but at least we can take comfort in those comfort food meals we all will be making – sooner rather than later! more intense your sauce will be. 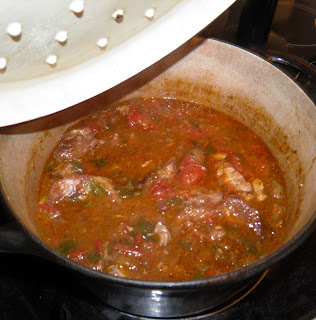 Heat the oil in a Dutch oven or other heavy bottomed pot with a lid. Sauté the onion and garlic until softened. Then add the beef, tomatoes, wine, sage, salt and pepper. Bring to a boil, reduce heat to medium low, cover and simmer for 2 to 2.5 hours, or longer if desired. If using cherry tomatoes you may want to crack the top. They have more water content than Roma. 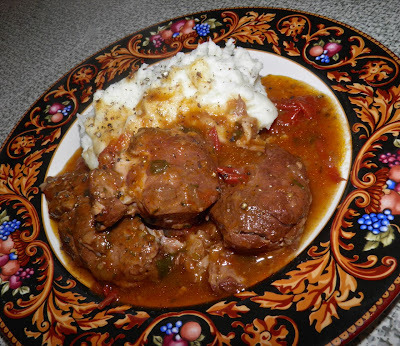 After the sauce has broken down and reduced, and the beef is very tender, taste for salt and adjust. Mix the flour with some water to make a smooth paste. Stir into the sauce to thicken it and let cook for 5 more minutes. Remove from the heat, stir in the butter until melted and serve with fluffy mashed potatoes.